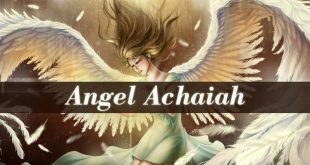 Angel Elemiah – also known as the angel of Divine Power. In the Kabbalah, Elemiah is the 4th name of God, after Angel Sitael. His name meaning “The Hidden God”. 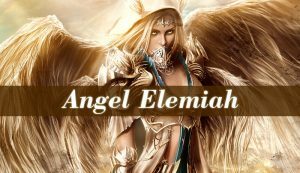 Elemiah is one of the 72 Kabbalistic angels. Therefore, belonging to the choir of angels called Chajoth Ha Qadesh. Being ruled by Archangel Metatron. 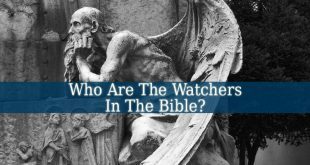 But in Christianity, Angel Elemiah is a Seraph. And his direct ruler or supervisor is God Himself. In The Book Of Yetsirah, Elemiah is one of the 8 Seraphs of the Tree of Life. 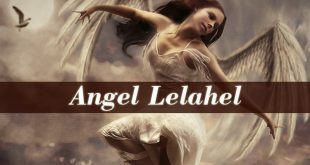 According to Dictionary of Angels, Angel Elemiah is responsible to protect those who are on a journey or maritime expedition. Also, the corresponding angel of Elemiah is Senacher. 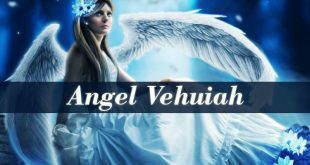 Angel Elemiah is the patron of the Divine Power and Authority. Therefore he seeks and establishes justice not only on Earth, but also in Heaven. Elemiah is a problem solver. Pray for his help when you are in search for solutions. Because he has the ability to teach you how to look at a problem from different perspectives. Being able to find multiple ways to solve it. Elemiah also shows you different ways to get out of a difficult situation. He reveals all the choices you have on your karmic path. This powerful Seraph fills you with a sense of calmness even when you face difficulties. You are going to feel that everything will be alright, even after a short prayer for the angel’s help. Angel Elemiah also helps you to forgive. He allows you the ability to forgive everyone who ever hurt or betrayed you. Because only then will you be able to live a harmonious life. Also, when you can’t see that you are betrayed, Elemiah will open your eyes. Showing you your real enemy. But he will also teach you how to truly forgive someone. And to avoid the karma that unforgiveness would have created. Elemiah also has vast knowledge about human being’s destinies. Therefore, he has the ability to reveal yours. As each 72 angels in the Kabbalah, Elemiah also has his own influential period in the calendar. This period beings between April 05 and April 09. Those who were born in this period are protected and guided by Elemiah. Therefore, they love to discover. And they are filled with potential. They are true seekers. Therefore, they seek knowledge, wisdom and new ideas. Which they constantly share with others. Opening the minds of people around them to sacred knowledge. Those who are protected by Elemiah, will always seek to help others and to bring justice. Therefore, their destiny is to help others. And they have big chances to become Spiritual Healers. 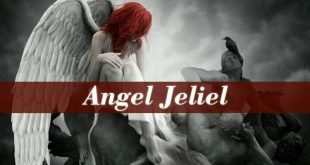 Another characteristic of those who were born under the influence of Angel Elemiah is that they love to solve problems. But, this sometimes becomes a problem. Because they tend to bury themselves in numerous problems to solve at the same time. Instead of solving them one after the other. But it is like a hobby for them. So, they are not bothered by that.